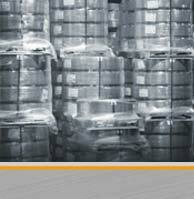 Monogram Metals maintains a comprehensive, stringent quality control program and we are ISO 9001:2008 certified. We provide Certified Test Reports and Certificates of Compliance to all end users of our products. Our Metallurgical Laboratory is essential to sustaining these high product quality standards. Hardness  Hardness Rockwell B (HRB) scale, conv. The Metallurgical Laboratory will issue Certified Test Reports to you based on these procedures. Furthermore, you will receive a Certificate of Compliance indicating that the product we supply to you meets your specifications.